I had a great time watching X-Men: Apocalypse and want to see it again. It was big and silly, and it left a smile on my face. The movie has too many plotlines to let them all breathe as they should, but I can't think of one I'd want to cut. 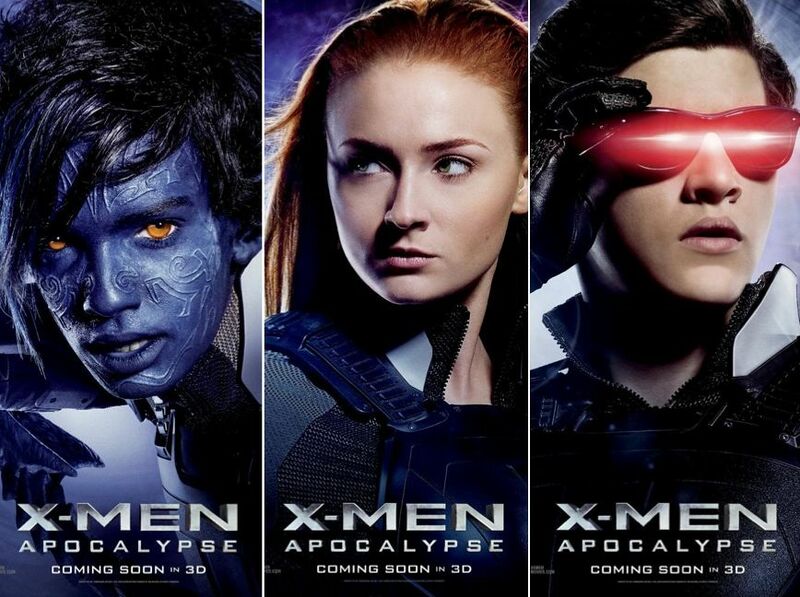 Instead, I want to spend more time with these characters - especially young Jean Grey, Cyclops, Nightcrawler, and Storm. All manage to get standout moments against the established cast members. Quicksilver, as in X-Men: Days of Future Past has one of the coolest scenes in the movie. But my favorite character moment might be Professor X showing what makes him so dangerous. I've enjoyed James McAvoy's performance, but I think this is the first time his Charles Xavier gets to feel dangerous. From what I've read of critical reviews, X-Men: Apocalypse isn't getting the love of X-Men: First Class, much less Days of Future Past. I have to disagree with the critics. This isn't a smart movie, sure, but it is one that gets what makes comics fun and has an appealing cast of characters. It's also not insultingly dumb. I must admit, I'd love another movie with the older cast to show what has changed due to Days of Future Past, but I can definitely live with these younger versions. I'm hoping for more fun movies in the series to come. Maybe we'll even see Deadpool in the main continuity one day. I'm not an X-men fan. Life would be boring if we all liked the same things! I do really like these younger films. I still need to see this one, but I'm glad to hear you enjoyed it and that it was fun! They do a good job with the casting!